When you wish upon a heavenly star… you got the answer to your musical prayers, this is the sound of beautiful unknown entities singing down from the stars and moon as you look up to the sky at night. Now I have to clear something up quickly before I write anymore and that is I am friends with Saneeta Ram (vocalist) and I am a fan of this type of music but that does not mean I am going to be bios. Just writing my thoughts, things I like and things I didn’t like as usual and your welcome to disagree. 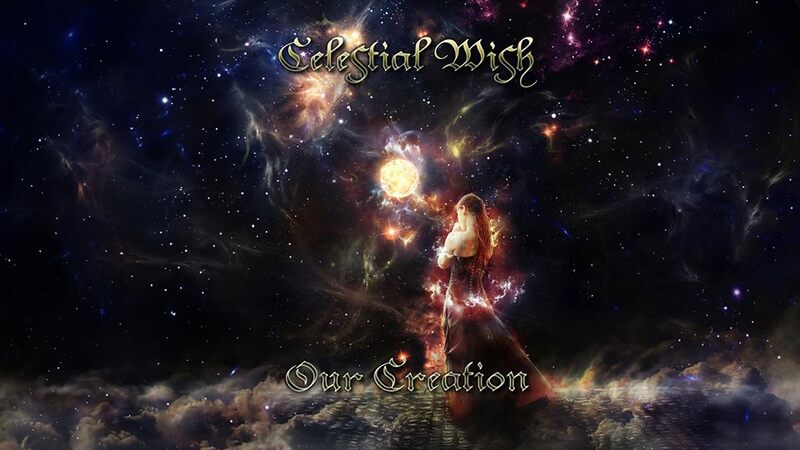 So now that we cleared that up let’s talk about the upcoming Celestial Wish and why they’re going to be the next big symphonic band. The songs I enjoyed the most and recommend are ummm… how about I just tell you the one I was not overly keen on and that was ‘Dearly Beloved’ but even that will probably get better over time. The things I liked about the album was pretty much everything (I swear I’m not being bios) the sounds, the voice’s, the concept, the artwork and the well placed song order. Oh and did I mention that a former Power Quest member makes a guest appearance here. The things I didn’t like about the album was some of the mixing of sounds, it’s a minor thing and it still sounds cinematic quality but for a symphonic band most of the synth’s sound seem to fade into the background compared to the demos. Speaking of the demo’s I can’t explain what it is but some of the newer recordings lack a little bit of that ‘charm’ that there demos have. I suppose it doesn’t really matter any more as those demos will be obsolete very soon. Celestial Wish have spend the past couple of years gaining a stable base through the means of social websites and yes every symphonic band will be compared to the greats such as Nightwish, which is fair enough as those bands are awesome but as Saneeta say’s herself Celestial Wish is more cheerful and hopes to spread positive energy to people. My final verdict is a 4.75/5 when the EP comes out I urge you with all my being to go and buy it, trust me when I say you won’t regret it.